The family moved to Vienna in 1907. Seyss-Inquart later went to study law at the University of Vienna. At the beginning of World War I in August 1914 Seyss-Inquart enlisted with the Austrian Army and was given a commission with the Tyrolean Kaiserjäger, subsequently serving in Russia, Romania and Italy. He was decorated for bravery on a number of occasions and while recovering from wounds in 1917 he completed his final examinations for his degree. Seyss-Inquart had five older siblings: Hedwig (born 1881), Richard (born 3 April 1883, became a Catholic priest, but left the Church and ministry, married in civil ceremony and became Oberregierungsrat and prison superior by 1940 in the Ostmark), Irene (born 1885), Henriette (born 1887) and Robert (born 1891). He went into law after the war and in 1921 set up his own practice. During the early years of the Austrian First Republic, he was close to the Vaterländische Front. A successful lawyer, he was invited to join the cabinet of Chancellor Engelbert Dollfuss in 1933. Following Dollfuss' murder in 1934, he became a State Councillor from 1937 under Kurt von Schuschnigg. A keen mountaineer, Seyss-Inquart became the head of the German-Austrian Alpine Club. He later became a devotee of Heinrich Himmler's concepts of racial purity and sponsored various expeditions to Tibet and other parts of Asia in hopes of proving Aryan racial concepts and theories. He was not initially a member of the Austrian National Socialist party, though he was sympathetic to many of their views and actions. By 1938, however, Seyss-Inquart knew which way the political wind was blowing and became a respectable frontman for the Austrian National Socialists. 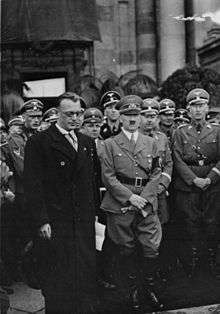 In February 1938, Seyss-Inquart was appointed Minister of the Interior by Schuschnigg, after Adolf Hitler had threatened Schuschnigg with military actions against Austria in the event of non-compliance. On 11 March 1938, faced with a German invasion aimed at preventing a plebiscite of independence, Schuschnigg resigned as Austrian Chancellor. Under growing pressure from Berlin, President Wilhelm Miklas reluctantly appointed Seyss-Inquart his successor. On the next day German troops crossed the border of Austria at the telegraphed invitation of Seyss-Inquart. This telegram had actually been drafted beforehand and was released after the troops had begun to march, so as to justify the action in the eyes of the international community. Before his triumphant entry into Vienna, Hitler had planned to leave Austria as a puppet state, with an independent but pro-Nazi government headed by Seyss-Inquart. 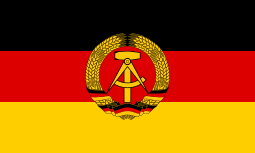 He was carried away, however, by the wild reception given to the German army by the majority of the Austrian population and shortly decreed that Austria would be incorporated into the Third Reich as the province of Ostmark (see Anschluss). Only then, on 13 March 1938, did Seyss-Inquart join the Nazi Party. Seyss-Inquart drafted the legislative act reducing Austria to a province of Germany and signed it into law on 13 March. With Hitler's approval he became Governor (Reichsstatthalter) of the newly named Ostmark, with Ernst Kaltenbrunner his chief minister and Josef Burckel as Commissioner for the Reunion of Austria (concerned with the "Jewish Question"). Seyss-Inquart also received an honorary SS rank of Gruppenführer and in May 1939 he was made a Minister without portfolio in Hitler's cabinet. Almost as soon as he took office, he ordered the confiscation of Jewish property and sent Jews to concentration camps. Late in his regime, he collaborated in the deportation of Jews from Austria. Following the capitulation of the Low Countries Seyss-Inquart was appointed Reichskommissar for the Occupied Netherlands in May 1940, charged with directing the civil administration, with creating close economic collaboration with Germany and with defending the interests of the Reich. Among the Dutch people he was mockingly referred to as "Zes en een kwart" (six and a quarter), a play on his name, and the fact that Seyss-Inquart was limping. He supported the Dutch NSB and allowed them to create a paramilitary Landwacht, which acted as an auxiliary police force. Other political parties were banned in late 1941 and many former government officials were imprisoned at Sint-Michielsgestel. The administration of the country was controlled by Seyss-Inquart himself and he answered directly to Hitler. He oversaw the politicization of cultural groups from the Nederlandsche Kultuurkamer "right down to the chessplayers' club", and set up a number of other politicised associations. He introduced measures to combat resistance, and when a widespread strike took place in Amsterdam, Arnhem and Hilversum in May 1943, special summary court-martial procedures were brought in, and a collective fine of 18 million guilders was imposed. Up until the liberation, Seyss-Inquart authorized the execution of around 800 people, although some reports put this total at over 1,500, including the executions of people under the so-called "Hostage Law", the death of political prisoners who were close to being liberated, the Putten raid, and the reprisal executions of 117 Dutchmen for the attack on SS and Police Leader Hanns Albin Rauter. Although the majority of Seyss-Inquart's powers were transferred to the military commander in the Netherlands and the Gestapo in July 1944, he remained a force to be reckoned with. There were two small concentration camps in the Netherlands – KZ Herzogenbusch near Vught, Kamp Amersfoort near Amersfoort, and Westerbork transit camp (a "Jewish assembly camp"); there were a number of other camps variously controlled by the military, the police, the SS or Seyss-lnquart's administration. These included a "voluntary labour recruitment" camp at Ommen (Camp Erika). In total around 530,000 Dutch civilians forcibly worked for the Germans, of whom 250,000 were sent to factories in Germany. 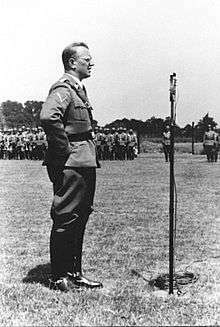 There was an unsuccessful attempt by Seyss-Inquart to send only workers aged 21 to 23 to Germany, and he refused demands in 1944 for a further 250,000 Dutch workers and in that year sent only 12,000 people. When the Allies advanced into the Netherlands in late 1944, the Nazi regime had attempted to enact a scorched earth policy, and some docks and harbours were destroyed. Seyss-Inquart, however, was in agreement with Armaments Minister Albert Speer over the futility of such actions, and with the open connivance of many military commanders, they greatly limited the implementation of the scorched earth orders. At the very end of the "hunger winter" in April 1945, Seyss-Inquart was with difficulty persuaded by the Allies to allow airplanes to drop food for the hungry people of the occupied northwest of the country. Although he knew the war was lost, Seyss-Inquart did not want to surrender. This led General Walter Bedell Smith to snap: "Well, in any case, you are going to be shot". "That leaves me cold", Seyss-Inquart replied, to which Smith then retorted: "It will". 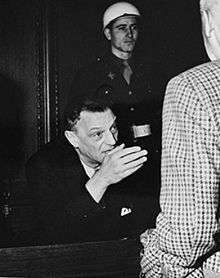 Seyss-Inquart talking to Wilhelm Frick at the Nuremberg trials. Seyss-Inquart's body after his execution. Upon hearing of his death sentence, Seyss-Inquart was fatalistic: "Death by hanging... well, in view of the whole situation, I never expected anything different. It's all right." He was hanged on 16 October 1946, at the age of 54, together with nine other Nuremberg defendants. He was the last to mount the scaffold, and his last words were the following: "I hope that this execution is the last act of the tragedy of the Second World War and that the lesson taken from this world war will be that peace and understanding should exist between peoples. I believe in Germany." Before his execution, Seyss-Inquart returned to the Roman Catholic church, receiving absolution in the sacrament of confession from prison chaplain Father Bruno Spitzl. His body, with those of the other nine executed men and that of Hermann Göring, was cremated at the Ostfriedhof in Munich, and their ashes were scattered into the river Isar. ↑ "United States Army in World War II: Civil affairs: soldiers become governors". History.army.mil. Retrieved 2013-04-16. Wikimedia Commons has media related to Arthur Seyss-Inquart.